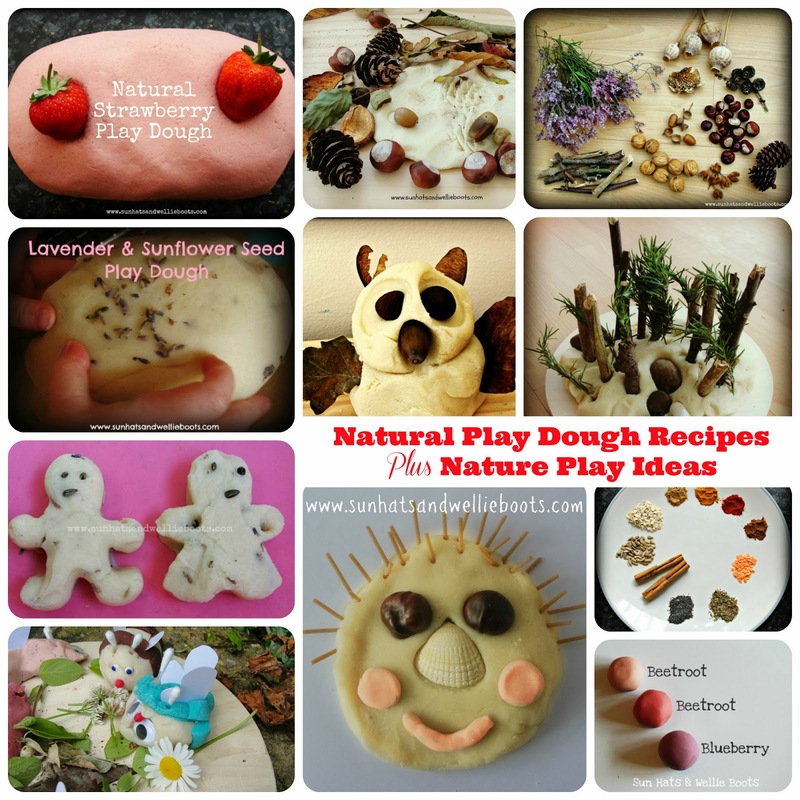 Today we're sharing some natural play dough recipes along with some great nature play accessories. When combined they provide an inexpensive activity that takes very little time to put together, & offers many opportunities for open-ended imaginative play, sensory exploration & discovery. The learning possibilities are endless. To make our basic natural play dough we use our no-cook recipe & substitute the cream of tartar for lemon juice. Add the oil and hot water and mix well with a wooden spoon until a smooth dough is formed. Give the dough a good knead & it's ready to use. To add colour to our natural play dough we use a range of fruit & vegetable dyes. Simply add the fruit/vegetables to a pan with one cup of water, & simmer on a medium heat for around 30 minutes. Using a sieve strain the contents of the pan & use 1-2 cups of this hot liquid with the play dough recipe above. 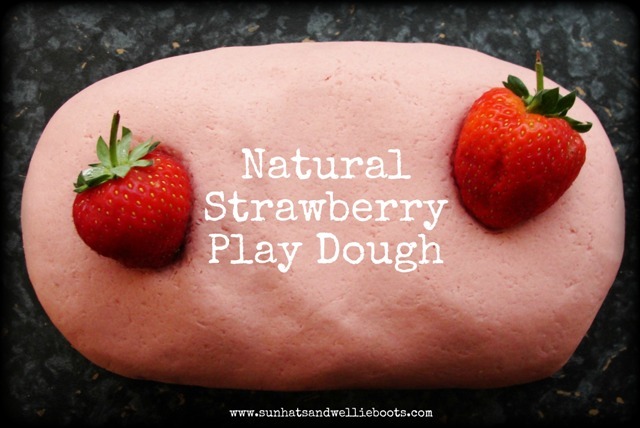 Our natural strawberry play dough was made following the recipe above (using 2tsp of cream of tartar instead of lemon), not only does it have a smooth texture, but it smells like strawberries too! 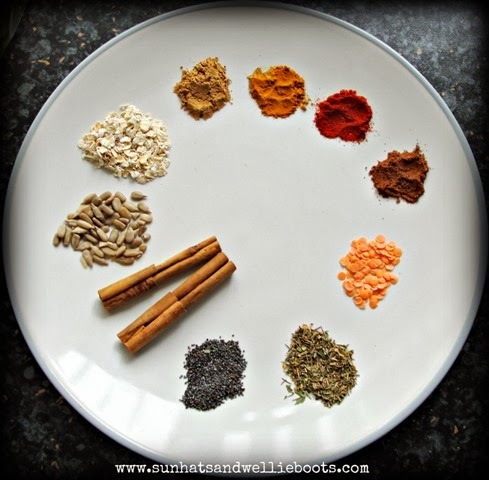 There are a variety of natural dyes you might like to try. The most popular play dough accessories in our house have been gathered from the garden, or on woodland walks & beach trips. 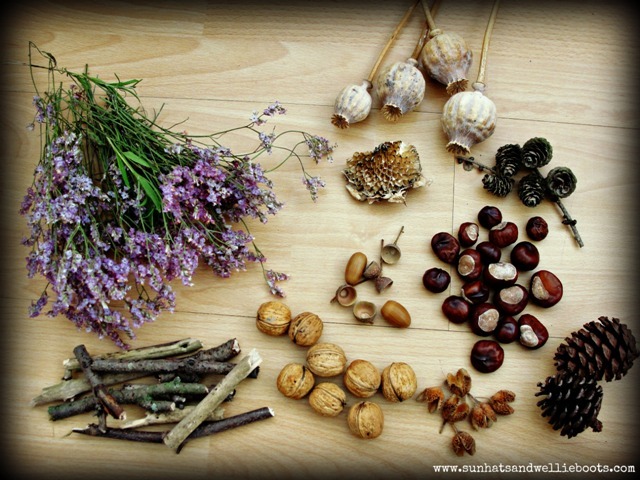 All these natural objects are great for sparking creativity & imagination, & provide a wide range of textures & scents to explore. Our favourites are; fresh herbs, bay leaves, dried flowers, leaves (fresh & dried), grass, daisies, corn, barley, dried beans, flower seeds, shells, pebbles, & small pieces of driftwood. 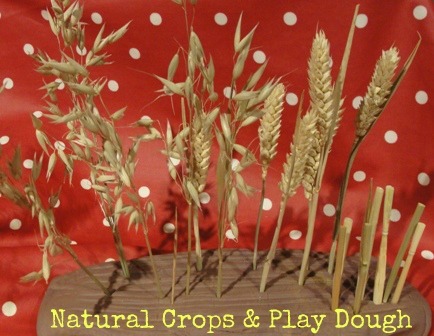 Natural objects are also great for exploring patterns & shapes in the dough. We've found dried flowers (sea lavender, poppy heads, sunflower heads), pine cones, conkers (especially as they dry & wrinkle), acorns, beechnuts, walnuts & twigs/sticks all produce some great shapes & patterns. 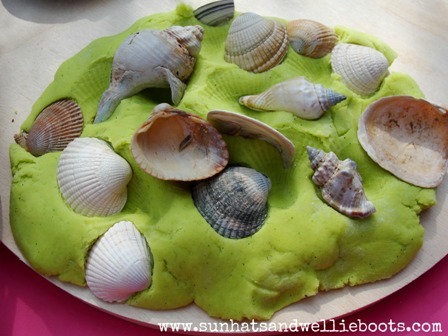 My little girl's current favourite play dough accessories are shells! She is fascinated by the patterns they produce in the dough, & has used them in her small world play as trees, flowers, fish & fairy chairs!! 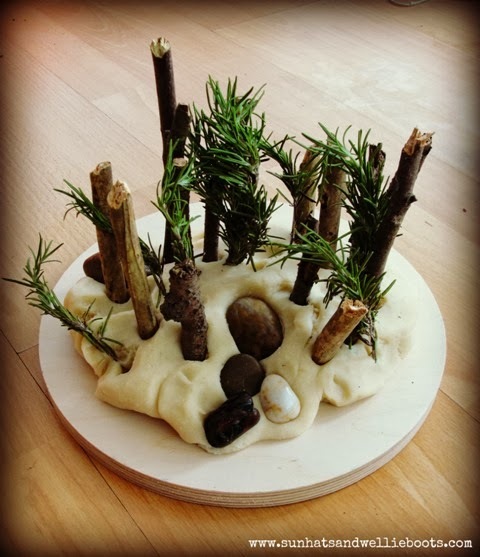 I love how natural items can be transformed into so many different objects in a child's mind! They offer endless freedom to explore, imagine & create. 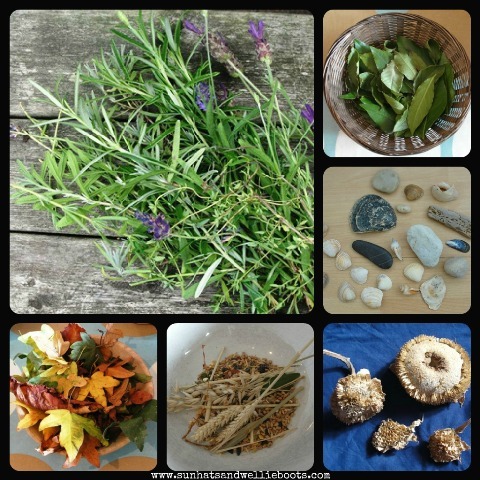 Using natural items also enables children to explore, & become familiar with the yearly patterns & changes that occur in the natural environment. 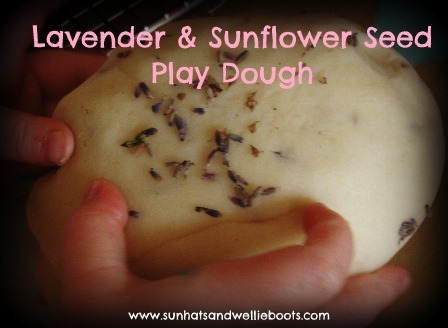 Our lavender & sunflower seed dough gave us the opportunity to explore life cycles, as did our harvest dough. 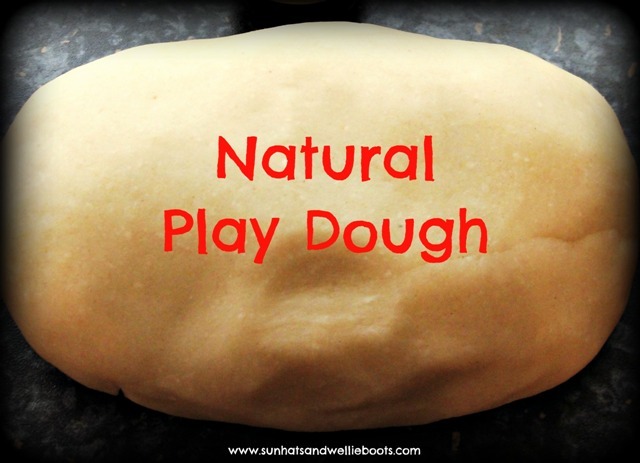 Natural dough has so much to offer, & is so simple to make! Why not have a go at making some this week & take the Play Dough Pledge with us!